Is our destiny all written? This is an age-old topic of deep conversation and debate. Is our destiny written from the nail to the wall or is it totally our free will that guides it. Is it in our minds and heads to get it all right or are we rolling inside a bubbled path? There may or may not be evidence to prove either way and yet we have our strong beliefs that shakes not at any shiver. It is true that faith can move the unmovable. Yes, the chart can mention which situations and events are going to show up in life. However, it also clearly highlights the areas of life with preceding karmic debt. These are highlighted by several indications in the chart e.g. through the 5th house, through the south node ketu’s and Saturn’s position, through nakshatras (constellations). These areas are a lot more or totally out of our control over the others. However, without hard work even the areas within our reach, reap no benefits. Jainism as a religion also validates two areas of life which are heavily and purely karmic – birth and marriage; the rest it says, is within our control and choice. What does this mean? This means that it says – yes, a major chunk of our life events will be brought to us through our karmas: relationships, enemies, health, illness, debts, etc.. whether good or bad. However, with extra-ordinary efforts, through will power and determination we can supersede these circumstances and change our destiny as well as the soul’s destination. Jainism too has a detailed description of astrology and clearly proves how it works. Yet, it propagates will power and hard work towards building and modifying one’s destiny a lot more than merely being controlled by one’s stars. For this reason it doesn’t reveal or use astrological information with the general masses. As for me – I am the person who is ready to steal my goals from the heavens if I have to. I am here to achieve some powerful motives from which no one can stop or deter me. When my eyes are set at a goal, it glitters with winning gold, and until I reach that gold I know that even my breath is committed to be my companion. I have decided my years of life, slated on my soul! Hello Rima, thought provoking article. 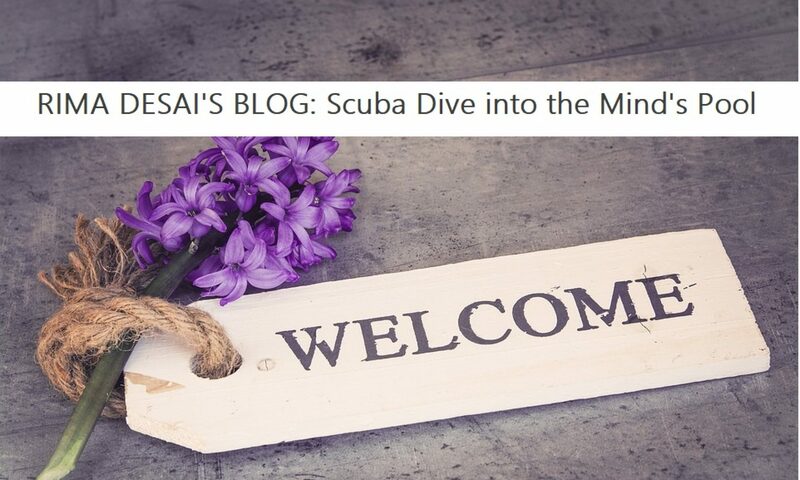 Loved your punchline too – scuba diving in the mind’s pool. Dropping in from ParendEdge. Visit us in leisure at http://sinhasat302.blogspot.in/. Nice Blog.. I see that our destiny is what out thoughts are.. & so to call for that intelligence to operate within us seems to be only way to change the current rut of life we all are going through. Next PostNext Six Easy Activities for an Emotionally Robust Kid!